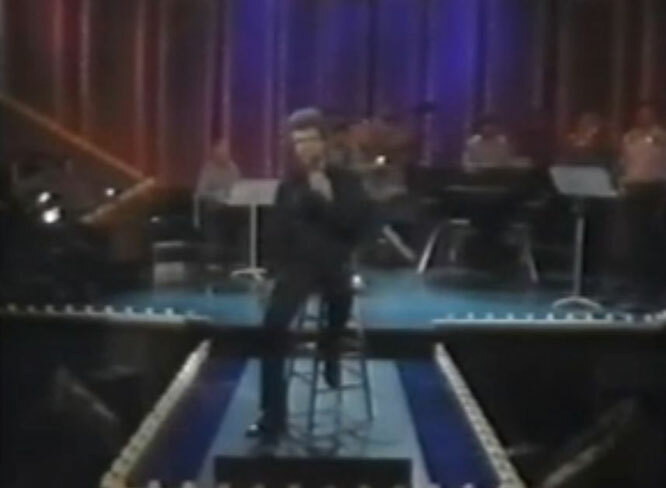 Conway Twitty performs "I Don't Know A Thing About Love"
"I Don't Know a Thing About Love (The Moon Song)" is a song written by Harlan Howard, and recorded by American country music artist Conway Twitty. It was released in July 1984 as the second single from the album By Heart. 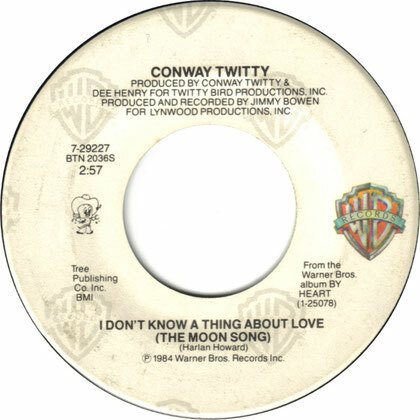 "I Don't Know a Thing About Love" was Conway Twitty's 32nd number one country hit. The single with backing vocals by Twitty's daughter Joni Lee went to number one for one week and spent a total of 14 weeks on the country chart. I talk to the man in the moon. I said, "Sir, is she coming back soon?" I've had to much credit in those old love tunes. I just kind of hang here above. Will love grow or will it die? I don't know a thing about love." Then I asked him "Where is she tonight? You must see all things with your light." But I don't get involved in what's wrong or right. He said, "I can move oceans when I take the notion. Or make mountains tremble and rivers run dry. In charge of those things way above you and I.
I don't know a thing about love.